Anne Curtis is still on a wedding high and rightly so! Her Monique Lhuillier wedding gown was the stuff "little girl's dreams are made of" and we couldn't agree more. 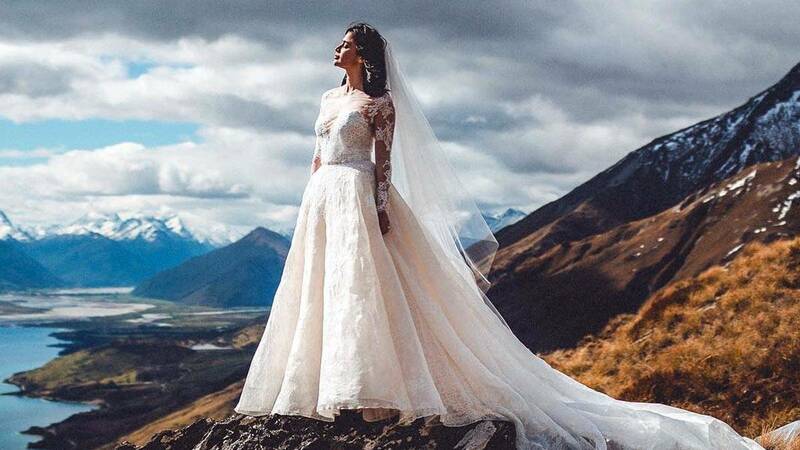 Anne wore her stunning dress when she said yes to Erwan Heussaff on November 12 in Queenstown, New Zealand. The actress recently took to Instagram to pay tribute to the hard work of the Pinay international designer. In her post, Anne recounted that the gown took 10 months to make and four visits to the Los Angeles studio for it to be ~*perfect*~. "I can't even express in words how I felt the moment you first put a veil on me and then again when I put on the dress for our last fitting. Thaaaaaaank you for making it a memorable bridal journey for me," Anne wrote. She even added that she hopes her little girl would someday wear the same dress when she walks down the aisle.